Chiropractic is about life! So when you visit the chiropractors in our Scunthorpe chiropractic clinic be prepared for a friendly greeting, happy faces when you arrive, and an excitement and vitality you rarely see when going to see other healthcare providers. But we take your health seriously! Hello and welcome to Chirohealth. We know it's an important decision choosing who is going to look after your health and the fact you've come to us genuinely means a lot. Chiropractic is about life! So when you visit the chiropractors in our Scunthorpe chiropractic clinic be prepared for a friendly greeting, happy faces when you arrive, and an excitement and vitality you rarely see when going to other healthcare providers. 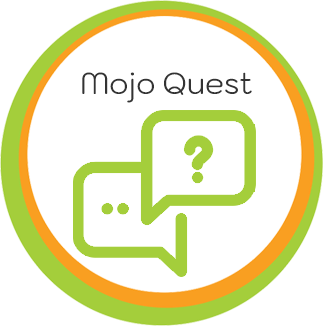 We've worked hard to create a special environment where you can Find your MOJO™ and we hope you love what we do as much as we do! 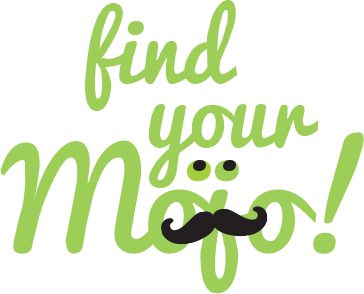 Find Your Mojo the NATURAL Way™ with the chiropractors at North Lincolnshire's ‘Go-To' Chiropractic Clinic. Our intention is to be the best chiropractor in Scunthorpe, but don't take our word for it; hear what our patients have to say! Our multi award winning Scunthorpe Chiropractic clinic is for people who understand that true health can't be found in a bottle of pills, and we're ready to assist anyone who thinks they've tried everything and can't be helped! On many occasions we've been the answer they were looking for. 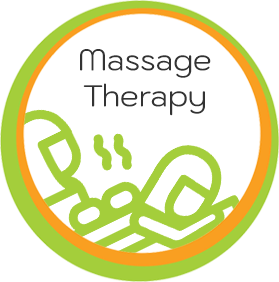 Maybe you've lost your Mojo due to low back pain, sciatica, headaches, migraines, neck pain or joint pain? You may have aches and pains caused by accidents, poor posture, bad habits, arthritis or old injuries. Perhaps you feel a bit wrung out? Life just feels like it's hard work. You've generally lost your get up and go and the day to day just isn't fun anymore because you can't do the things you enjoy. And possibly you feel like you've already tried everything and that nothing can help you? We really don't want you to be worried, scared or apprehensive every time you move thinking your back may ‘go'. We want you to have that amazing feeling of waking in the morning, ready and raring to start the day and being capable of doing all the things that make life fun! 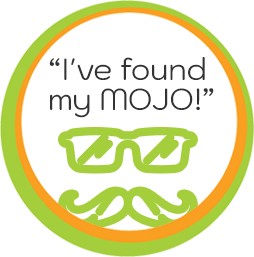 Each one of our Scunthorpe chiropractors is driven to help you find your Mojo! All the staff are pleasant, helpful & professional, the premises clean, tidy and a pleasure to be in. The assessment conducted by James was the most thorough examination I have ever experienced, and every step was explained fully to ensure I understood the reason for each test. I certainly felt the benefit after the first treatment. A very positive and welcoming vibe when you walk in. You immediately feel good! Very friendly staff. Well trained people who work there, I have lots of confidence in their skills. Lovely place and fabulous staff. Even got a lovely doctor to come over for a chat to my partner who had asked a question about his condition. Just brilliant! Made very welcome. Put at ease,excellent consultation at appointed time. All the staff were amazing. Great place to go. Would recommend to anyone. Everyone is so nice, welcoming, and helpful. Good ambiance and friendly reception staff. Luke was very professional and extremely informative. Grace was very relaxed and took the time to listen, the clinic had a lovely feel to it, the staff is very pleasant and they put me at ease. Also loved the fact that I was asked to keep a food diary, they’re concerned for your whole well being. Because Minji was so confident that they would be able to help me (after a consultation) she made me confident too. I have not been disappointed, they are a great team. Thank you for warm welcome. Nervousness quickly disappeared. Left feeling very reassured and heartened! Thanks to all. Made to feel very welcome and comfortable throughout my visit. Very polite and friendly staff. Every stage of the examination was explained. Friendly and professional staff, great surroundings, thorough consultation, I am impressed. My experience was exemplary and I was particularly impressed by the cheerfulness of the staff and immaculate appearance of the premises. Very professional approach, I have confidence in Chirohealth! Really impressed with the whole health approach adopted by the clinic and the emphasis that patients need to embrace changes in all aspects of their life and to not just view chiropractic as a panacea. The staff were all brilliant and my treatment was excellent, very happy overall. 10 out of 10 so far . I had a consultation with Luke today, he was absolutely fantastic. He pinpointed every problem I have without me having to tell him. I’m looking forward to my next appointment as I feel very confident that Luke will be able to help. Great practice and friendly staff. Tom is great my back and neck feel loads better after today’s appointment. Actually really looking forward to my next session! Very friendly staff, lovely and clean clinic. Everyone were very helpful! Really friendly staff, explained the process well, environment was lovely and I felt looked after. Very impressed with the service I have received so far, the staff are very thoughtful. All staff were very friendly and welcoming, which made me feel at ease. Looking forward to my next visit! Lovely friendly staff couldn’t have been more welcoming. Really lovely place to go, relaxing, calming and made to feel comfortable. Thank you, I look forward to coming back. Very pleased with the thorough initial examination and the professional and courteous manner shown by all the staff. Lovely, friendly, welcoming staff. Sleek and stylish interior. I was very nervous but had nothing to worry about and was made to feel at ease straight away. Most impressed by the staff, expertise, instant scans and surroundings. Came out feeling very positive. I was extremely impressed on my first visit by both the lovely surroundings & the friendly staff. I’m looking forward to my treatment. Staff very friendly made me feel relaxed from the start. As I was very nervous I was made to feel at ease by James and he explained everything to me and now I’m feeling a lot more confident about the results and up and coming treatment. Very friendly staff from the front desk to the assessment. Very professional, impressive surroundings, great first impression. Excellent service and lovely staff. Place looks amazing very inviting and relaxing… would highly recommend. Very friendly, professional greeting. Staff helpful and informative. Outstanding customer care, very warm and welcome. Excellent first experience. Was put at ease from the start. Everything explained in a way that I fully understood. Very friendly environment, the standards were a lot higher than I was expecting, it made me smile the moment I stepped through the door. Very professional staff. Made to feel at ease. Very happy with 1st visit. Lovely bright and inviting building. Very pleasant staff and excellent service. A very pleasant all round experience, definitely recommend! Very vibrant energetic environment got some ideas for my new extension! Great location easy parking. Very helpful professional team. Couldn’t recommend it highly enough. Made to feel very welcome, looking forward to my second session. Very impressed with the welcome by all the staff. I was impressed by the explanations I was given throughout my introductory session. Thank you! Very friendly staff, I was put at ease straight away and enjoyed my first experience of chiropractic. A wonderful experience! I can’t wait for my next appointment! I wish I’d done it much sooner. Greeted by smiling friendly reception staff, shown around the premises, information leaflets readily available. Everything was carefully explained to me. 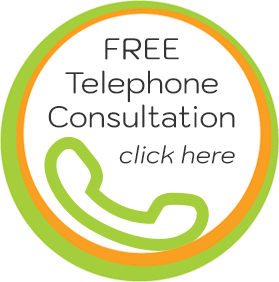 I would highly recommend visiting this service for an initial consultation. To be honest I was surprised how professional the whole experience was. Very impressed and looking forward to being treated here. I thought the practice was very welcoming and friendly. All the staff had a caring attitude. I look forward to my next visit. Very professional but at the same time friendly and welcoming. Your standards are high and attention to detail is exemplary. A pleasure to be a patient…keep up the good work. Very courteous staff. very helpful. For the first time in a long while I knew someone was listening to me. The chiropractor was very knowledgeable and reassuring and I feel confident he will be able to help with my problems. Katie is a joy to deal with. She has really helped me to get my back problems under control and has also helped me to manage my migraines. Thank you! Very modern and professional establishment. All staff were helpful and lovely people and this has urged me to recommend and use you in the future. Very impressed with professional expertise. Impressive facilities. Was very impressed by the professionalism and friendliness of the staff. The layout of the facilities, information provided and cleanliness were also very impressive. The caring attitude of all staff was obvious. Everything was completed in my own time without a need for rushing. 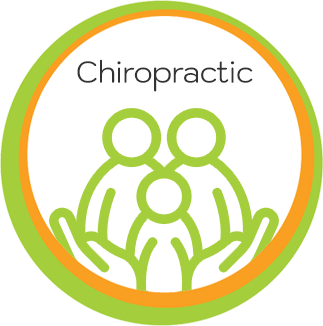 I have had occasion to visit several chiropractors over the past 40+ years and found the Chirohealth staff to be the most professional and competent I have met, very impressed by the whole team. Everyone I met was extremely helpful, pleasant and professional. I found them a ‘breath of fresh air’. I would/will recommend your clinic and services without any qualms! Brill, looking forward to feeling a lot better. Modern, clean, well equipped premises, prompt attention and lovely staff.